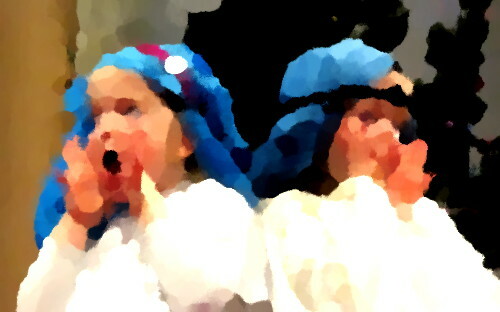 An early Christmas present for you: a simple Nativity Play for an all-age service or school event at Christmas time! There are four scenes, with a script adapted from the Bible text of Luke and Matthew's Gospels. The cast is fairly straightforward, and the acting children only have small amounts to say. One or more Narrators keeps it all going - and that can be an older child / children or an adult. The scenes are glued together with songs from Maynard's Groovy Bible Tunes.